This is not the usual motorbike stuff, but I have not been out lately. I need to save the tires for the TT2000, which is only a few weeks away now. Anyway, my first hobby has always been computers since I was very young. Started with a TRX80 and then a Commodore 64 before going to the Amiga 1000. Made a bit of a name for myself on the Amiga with a virus checking program I wrote. Upgraded to the Amiga 2000 and then when it started to fade, started build my own PC’s. I have built about 6 now and they are always high spec machines at the time. My current machine has 32GB memory and had a high spec CPU which is water cooled but it is getting out of date now and starting to not be able to play the new games at high resolution. 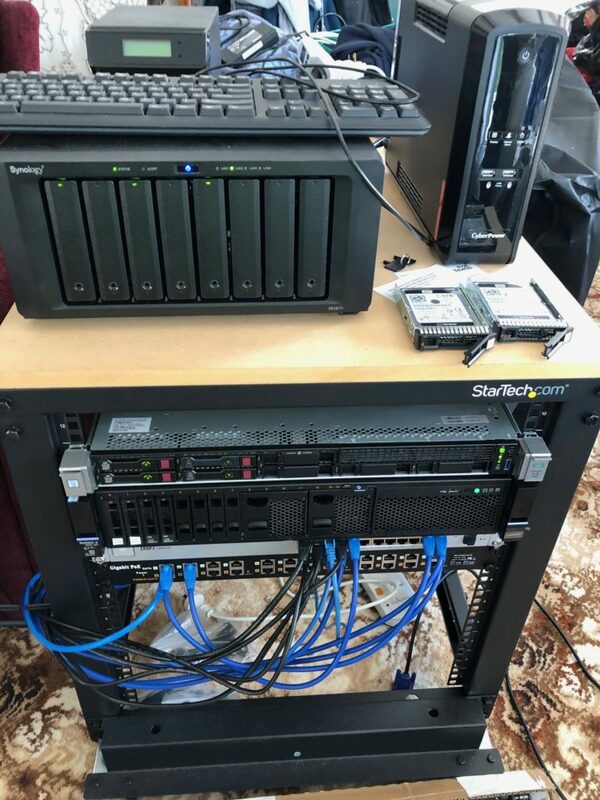 I also have my own server rack which has two servers in it. The first is a HP 360DL Gen 9 which has 56GB of memory and is running 6 different things as virtual machines one of which is my email server. The other is a Lenovo 3650M5 with only 16GB of ram in it. Currently it is running my NVR software as a virtual machine recording from the cameras around the house 24/7. Along with this is a UPS for power cuts and a Synology NAS that has 8 bays in it. Currently have 3 8TB drives in this for storage space of about 16GB and 1 drive failure insurance. All of these run 24/7 and can keep the room warm in the winter. So, it was time to start building a new PC. I saw a uTube video with the ultimate gaming machine and decided to try and build most of it myself. It will need to be done over time as some of the parts are very expensive with the graphics card at about $2500 alone. 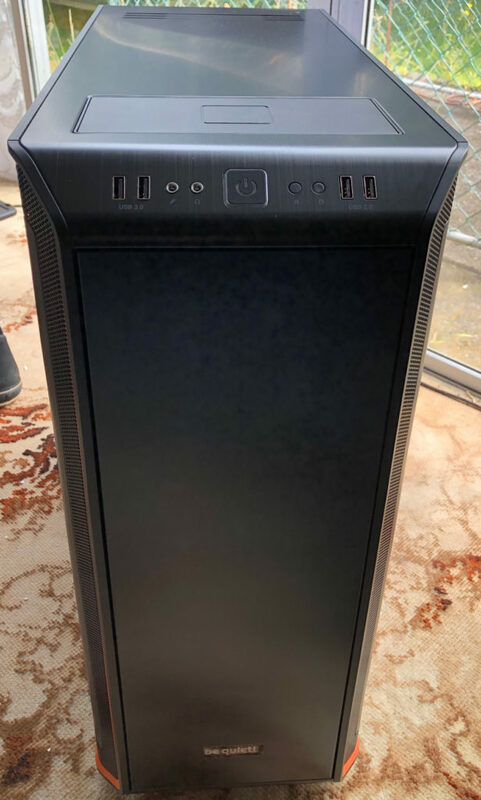 So, started with the case which I decided on a Be Quiet Dark Base 900 Pro. I got this immediately as there was only three left in New Zealand. Cost $249.10 from Mighty Ape. Next was the power supply which was also from Be Quiet. It was a 1000 watt Dark Power Pro 11 at $334 from Mighty Ape. This build was going to have an NVE M.2 drive for the O/S and two Optane M.2 cards for caching the data drives. New Zealand I could only find 16GB Optane drives so resorted to Amazon and found them for US$60. However, they would not ship to NZ so had to go for some more expensive ones from eBay at $131.80 for a 32GB card. Got two of those ordered and they will be here soon. 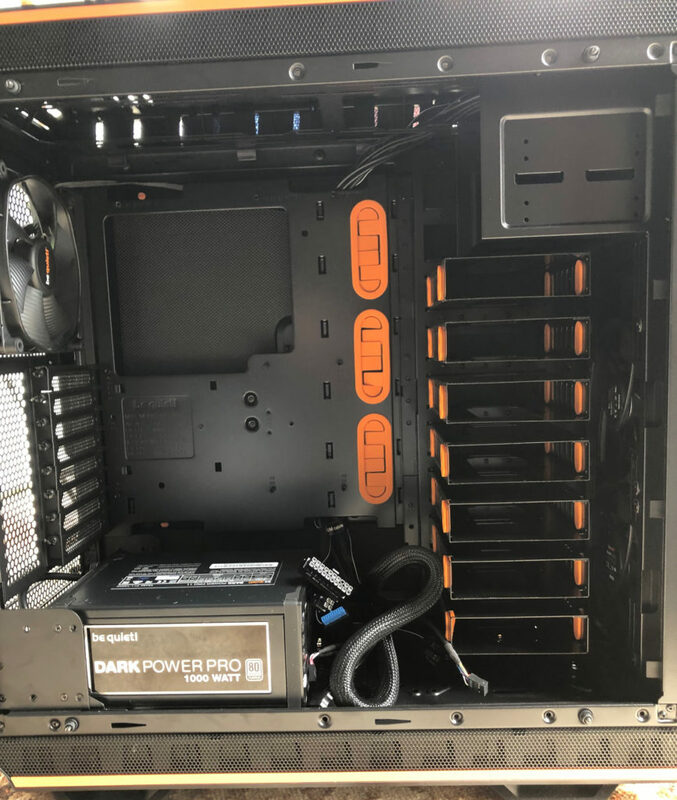 At this point I have the case, power supply, and two Optane 32GB M.2 sticks on the way from the USA. Will now have to wait a bit while the visa gets down a bit.